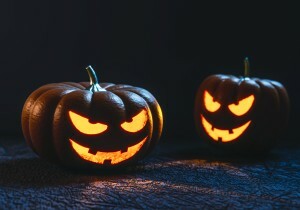 Devil’s Night is a name associated with October 30, the night before Halloween. It is chiefly associated with the serious vandalism and arson seen in Detroit, Michigan from the 1970s to the 1990s. This finally prompted the “Angels’ Night” community response to prevent property damage from occuring. This phenonimon has many home and business owners reviewing their property insurance policies because their properties have been damaged or destroyed as a result of rioting, including looting, fire, vandalism, and other associated damage. (1) unlawful assembly of three or more people (or lawful assembly that due to its violence and tumult becomes unlawful) (2) acts of violence and (3) intent to mutually assist against lawful authority. The common law clearly indicates that lawful authority is not limited to official law enforcement, but extends to those whose rights are or may be injured and seek to protect those rights. In addition, there must be some degree of (4) public terror. Riot or Civil Commotion Coverage is commonly found in residential and commercial property insurance policies and provides coverage for direct physical loss of or damage to covered property caused by or resulting from riot or civil commotion. To review your coverage, contact an agent at Professional Underwriters.